Jason Wheeler was the Twins' eighth-round pick in 2011 out of Loyola Marymount and skipped rookie-ball, debuting at low Single-A in 2012. He moved up to high Single-A in 2013 and returned to high Single-A to begin last year before moving up to Double-A around midseason. He's proven to be an innings eater, leading all Twins minor leaguers with 158 total innings last season after ranking fifth in 2013 and second in 2012. Durability combined with a bulky 6-foot-6 frame and nice-looking 3.26 career ERA were enough to get Wheeler added to the 40-man roster in November, but dig a little deeper and the left-hander's numbers aren't as encouraging. He often works in the high-80s with his fastball and has managed just 6.3 strikeouts per nine innings while allowing 477 hits in 458 frames. His control is improved but still mediocre and he doesn't induce many ground balls. Wheeler also shows extreme platoon splits, frequently struggling with right-handed hitters, which would make it tough for him to be an innings-eater against big-league lineups. He shuts down lefties pretty well and could perhaps add some velocity in a bullpen role, but right now it's hard to project Wheeler as more than a potential back-of-the-rotation starter or middle reliever. Yet by virtue of being on the 40-man roster his odds of reaching the majors in 2015 are relatively high. Tyler Jones was mediocre as a starter in college and in the pros after the Twins drafted him in the 11th round out of LSU in 2011, but he switched to the bullpen full time in 2013 and thrived with 66 strikeouts in 52 innings and a .196 opponents' batting average. He finished that season at high Single-A and that's where Jones spent all of last year as well, but the results weren't as impressive the second time around. Jones' strikeout rate fell from 11.4 to 9.4 per nine innings and his already poor control took a step backward with 23 walks in 51 innings. He allowed just two homers after serving up zero long balls in 2013, but a 24-year-old reliever with a mid-90s fastball and sharp slider shouldn't be putting 73 runners on base in 51 innings against Single-A competition and lefties hit .301 off the 6-foot-4 right-hander. He'll be 26 years old before the end of the season and has yet to throw a pitch above Single-A, so Jones' prospect status hinges on getting on the fast track as a potential late-inning reliever and he'll get a chance to do that at Double-A. He needs to either resume missing tons of bats or slash his walk rate dramatically after handing out 3.7 free passes per nine innings so far, but a mid-90s fastball buys a little more patience than usual. Selected by the Twins in the third round of the 2013 draft, Stuart Turner was billed as a strong defensive catcher with an iffy bat despite hitting .374/.444/.518 during his lone season at the University of Mississippi. In fact, Baseball America's pre-draft scouting report noted that "scouts don't like his swing and question his ability to sting the ball consistently." So far those questions about his offense have proven accurate. Turner debuted for rookie-level Elizabethton after signing, hitting .264/.340/.380 in 34 games against younger competition, and continued to struggle last year when the Twins jumped him to high Single-A. He started 92 of the team's 139 games at catcher, but hit just .249/.322/.375 with seven homers and a 61/31 K/BB ratio. He threw out 32 percent of steal attempts, which failed to stand out in a league where the average throw-out rate was 32 percent. Turner's defense received positive reviews, but at this point evaluating catcher defense is more and more about pitch-framing ability and it's nearly impossible to judge that reliably for minor leaguers. Assuming he's a good all-around defensive catcher rather than merely a good catch-and-throw guy Turner won't have to hit much to reach the majors, but that would still require stepping things up a bit. Selected by the Twins out Wichita State in the 13th round of the 2013 draft, Minnesota native Brandon Peterson had a strong rookie-ball debut after signing and then dominated two levels of Single-A last year in his first full season. Peterson began the season Cedar Rapids and was quickly promoted after allowing one run in 13 innings with a 19/2 K/BB ratio. He continued to thrive in Fort Myers, posting a 1.80 ERA with 65 strikeouts and zero homers in 45 innings. Overall he has a 2.01 ERA and 124/28 K/BB ratio in 85 innings as a pro, striking out 13.1 batters per nine innings while holding opponents to a .195 batting average and three homers in 338 plate appearances. Peterson's raw stuff isn't quite as impressive as those incredible numbers suggest, but he tops out in the mid-90s with his fastball and has generated tons of swinging strikes and strikeouts with his slider. Rarely are low-minors relievers viewed as promising prospects and Peterson has to prove himself against more experienced competition before potentially finding a place in the Twins' long-term plans, but what he's done so far shouldn't be ignored. 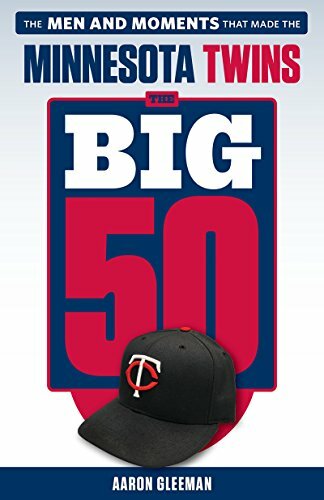 Given how aggressively the Twins promoted Peterson in his first full season he has a chance to reach Triple-A and perhaps even the majors by the end of 2015. Max Murphy had a big junior season at Bradley University, hitting .314/.414/.598 in 51 games while ranking second in the Missouri Valley Conference with 12 homers. Drafted by the Twins in the ninth round, Murphy had a monstrous pro debut, leading the rookie-level Appalachian League in batting average (.378), on-base percentage (.483), and slugging percentage (.723). Murphy had the league's highest OPS (1.206) by 300 points. Seriously. In the past decade the only other Twins prospects to top a 1.000 OPS for Elizabethton are Rory Jimenez in 2012, Eddie Rosario in 2011, Oswaldo Arcia in 2010, and Angel Morales in 2008, so it's a mixed bag. Murphy also finished second in the league with 10 homers despite playing just 35 of a possible 68 games, because the Twins decided they'd seen enough dominance and sent the 21-year-old up to low Single-A for the final month of the season. Once there he struggled, hitting .242/.314/.395 with a 40/8 K/BB ratio in 32 games to take some of the shine off his incredible rookie-ball showing. Murphy figures to begin this season back at low Single-A and will try to prove he can knock around similarly experienced competition. He played mostly center field last season, but long term projects as a corner outfielder with decent speed and a good arm. 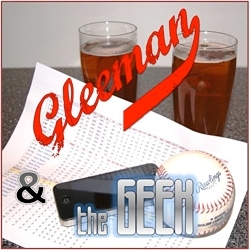 For a discussion of which pitching prospects have a chance to crack the Twins' starting rotation at some point in 2015 check out this week's "Gleeman and The Geek" episode.